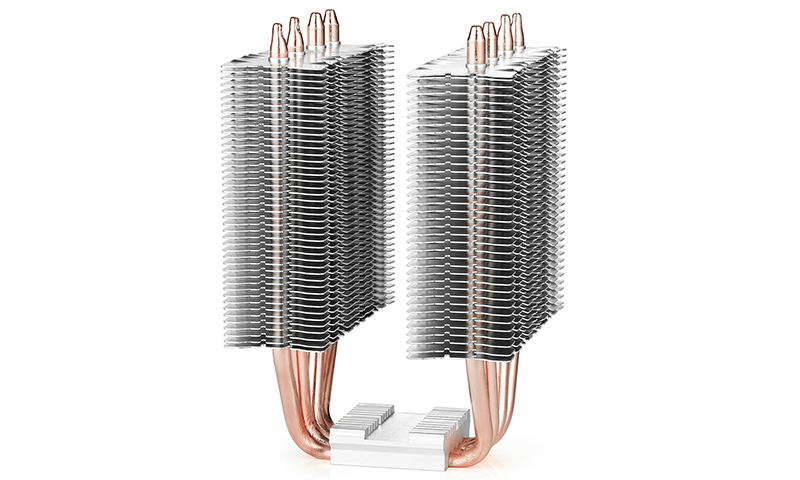 FROSTWIN V2.0 offers high cooling performance with its Core Touch Technology (CTT) for rapid heat dissipation. And it’s got awesome fan aesthetics for those seeking to build a cool gaming rig. 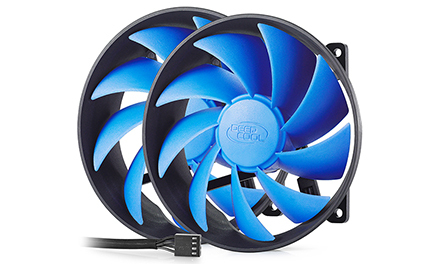 Dual super silent 120 mm fans, one of which is PWM-capable, perfectly balances airflow requirements. FROSTWIN V2.0 is highly compatible with most systems, making it the ideal choice for mainstream CPUs. 4 sintered metal powder heatpipes directly contacting the CPU surface for removing heat and eliminating chances of overheating. 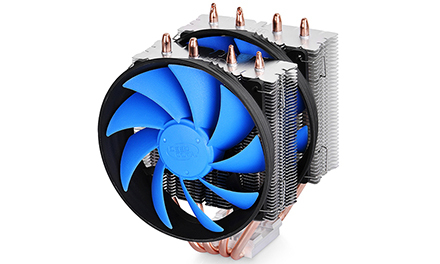 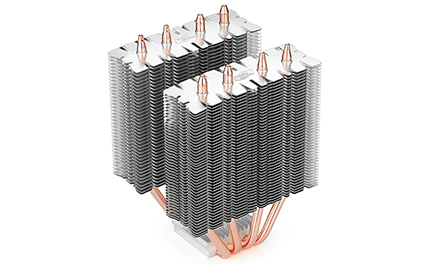 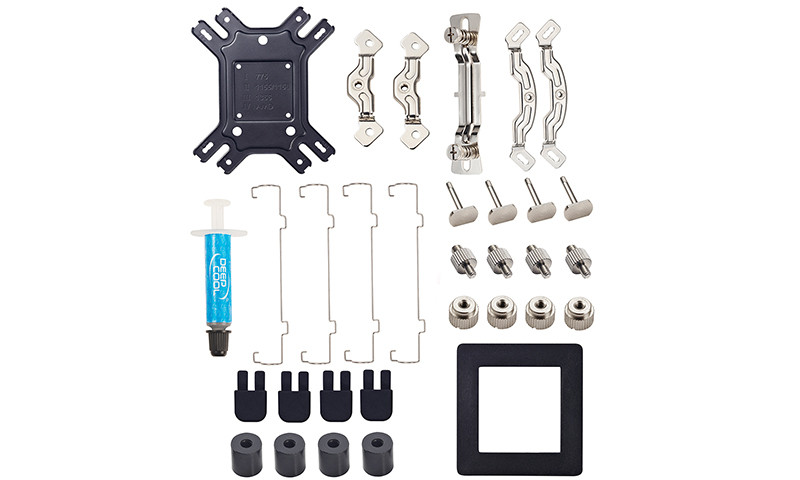 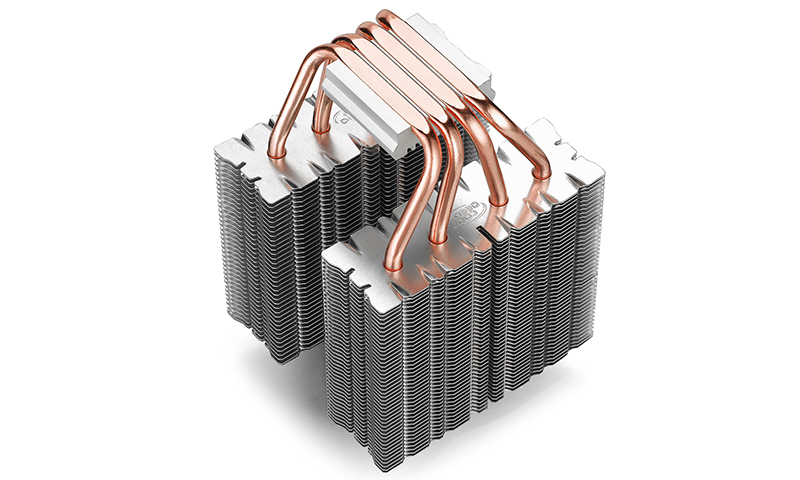 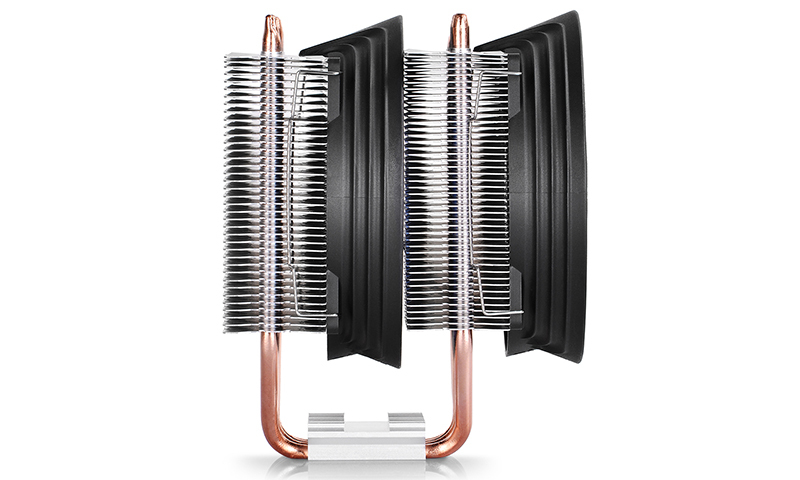 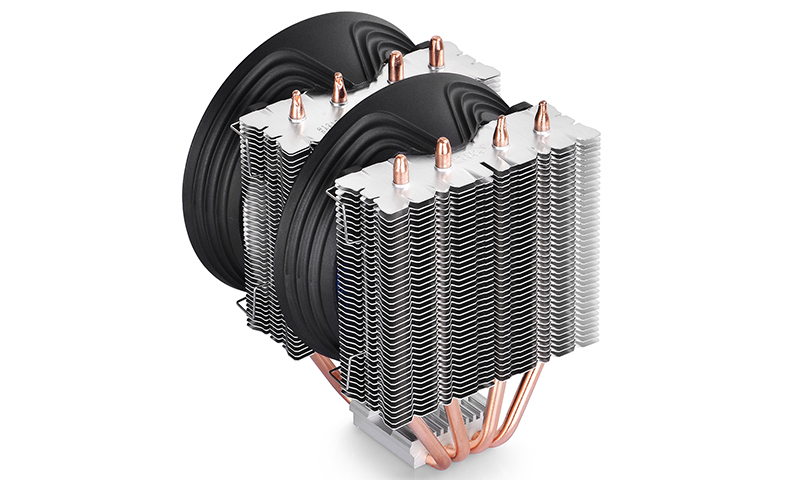 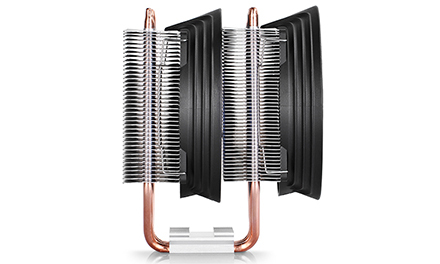 Twin tower heatsinks add to the superb cooling performance. 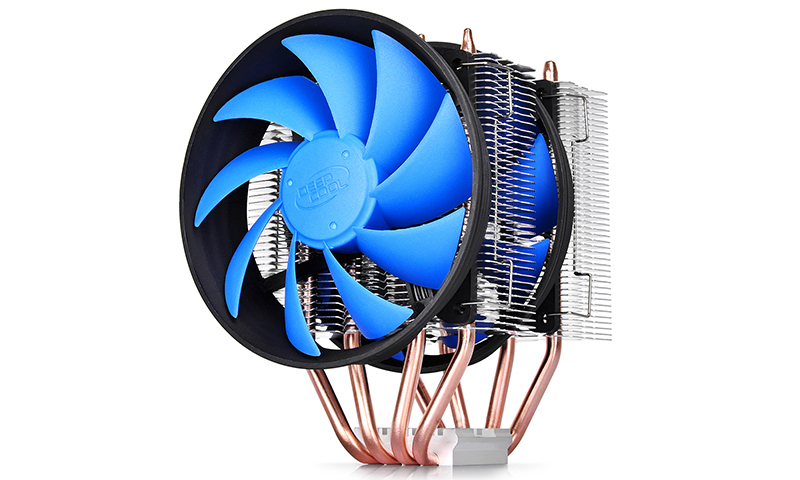 Dual super silent 120 mm fans, one of which is PWM-capable, offer a perfect balance between airflow and noise. 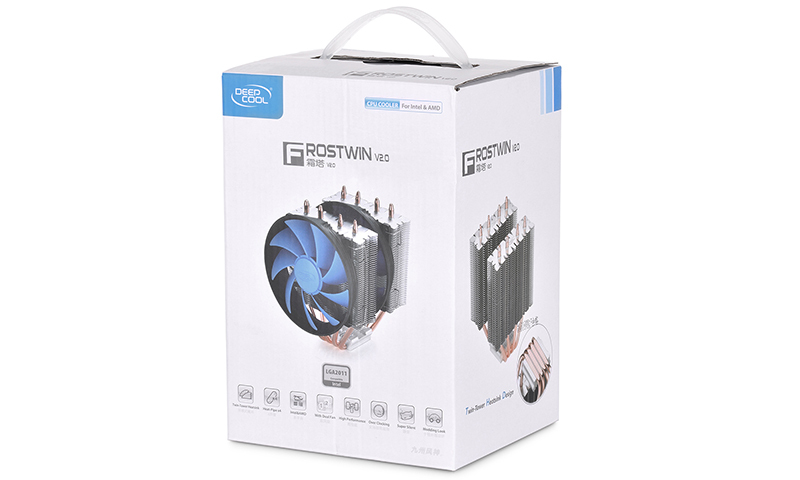 Enter a product name below to check compability with the:"FROSTWIN V2.0 "